A difficult challenge facing ecommerce business owners is how to prevent overselling products that are listed across a number of marketplaces. Many online retailers struggle with overselling due to inaccurate inventory management and lack of organization. Ecommerce automation is a solution, as it ensures that your inventory is sold accurately and is time sensitive. Since sales channels do not communicate with each other, there isn’t a way for the inventory to stay up to date without a manual change by the owner. Overselling is a big risk to your reputation as a supplier, especially those that track cancelled orders as a negative mark. Amazon even suspends sellers for overselling! 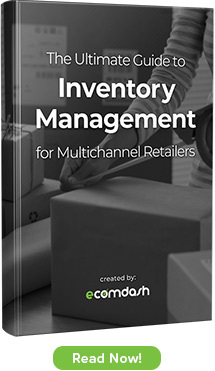 Juggling inventory across different channels creates an inventory management nightmare. Common challenges like this can be prevented with automation software. Automation software saves you time and money, as you will not have to pay someone to process all of your orders every single day. It also guarantees your orders arrive on time to the buyer and allows the customer to track them, making sure your business will receive a positive review upon delivery. By taking advantage of automation, your customers and employees will be left smiling. Applications like ecomdash act as a dashboard or hub that links your marketplaces to your inventory and prevents overselling a product. Ecomdash automatically imports your sales orders and reduces your quantity within our system for any products sold. Within seconds of that import, we will update all of your sales channels of the new available quantity.